Paul Du Noyer has set himself up with this book because, honestly, what else is there to say about Paul McCartney? And that applies even if, as is the case here, the legend himself is the one telling the stories. For anyone steeped in Beatle lore, the stories are familiar, sometimes overly so. The thing about McCartney—who is uber-available seemingly all the time (he’s practically a cast member of Saturday Night Live)—is that you can admire/worship/idolize him but you can never get to the core of his genius. It is simply who McCartney is; he was born with the gift of melody and was in the right place at the perfect time. 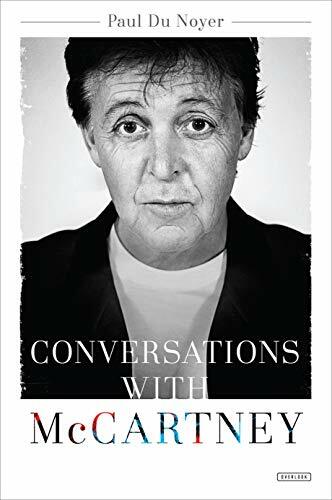 Du Noyer, a fellow Liverpudlian and a lively writer, first met McCartney in 1989 and reportedly has had more formal and recorded conversations with the great man than any other journalist. Fair enough. Du Noyer makes some clever observations along the way, including his suggestion that the only other creative type who can even touch Paul for the quality and breadth of his work is Picasso. It’s an apt comparison and, at least to this reviewer, one that I’ve never read anywhere else before. Du Noyer tries mightily to connect the dots of McCartney’s life in a unique way and, while he does a good job, McCartney’s life is just too familiar. We know about the Beatles breakup and how Paul was the odd man out because he was forced to sue his mates. We know how much Paul loved Linda (just listen to the song “My Love”) and we know all about his partnership and bitter breakup with John. The story is so familiar that one doesn’t even need to use last names. That’s not to say this is a bad book. On the contrary, it’s well done and one comes away liking Du Noyer and admiring the way he thinks. It’s just that what he’s doing is akin to describing that sly smile on the “Mona Lisa.” It’s been done, many times over. In fact, this book is very much like Many Years from Now by Barry Miles, which was also based on conversations Paul had with his buddy all those years ago. If you have no idea who or what McCartney is about—and that’s possible for this younger generation—by all means, read Conversations with McCartney but if you’re familiar with the Beatles story, you’ll find this one very familiar.